GOALSQUAD.COM: Tottenham Hotspur F.C. - Spur Them On. Tottenham Hotspur F.C. - Spur Them On. Among the great football teams that have emerged out of United Kingdom, Tottenham Hotspur F.C. is one such team. Located in the city of Tottenham the team was founded in 1882 and has been going from strength to strength. Its current captain is goal keeper Hugo Lloris who hails from France. Its past accolades include UEFA winners cup in 1962, league cup with the last being in 1991 as well as the UEFA Europa league in 1983. The team in fact was the first club in the 20th century to achieve the league and FA cup double way back in 1960 -61 season. The team has players from a multitude of nations such as Danny Rose from England, Mousa from Germany, defender Ben Davies from Wales, mid fielder Erik Lamela from Argentina and Clinton from the Cameroon (in Africa). Solid supporters of the team are worldwide including our very own amchi India. Thanks to satellite TV more and more of us are now enjoying their exploits lives as they play in various leagues. Are you a team supporter? If yes how do you show your support for your team?? Do let us know. You can pick up great official licensed products from our website if you are a loved one is fans of the team nicknamed “the spurs” and “the lilywhites”. Trendy boot (shoes) bag in the elegant colours of the team to keep your valuable pairs of shoes etc safe from the vagaries of weather. Or you could splurge on a very cute piggy bank for your young ones. Teach them the value of saving by catching them young. Another product for your Tottenham F C fans is the aluminum drinks bottle priced at INR 989. You can use it to keep mineral water while you work out in the gym or much needed lemonade for car journeys. While browsing for goodies from your favorite football team why not do some on the spur shopping (no pun intended) for the very useful sweat arm band priced at a reasonable INR 649 apiece. While working up a sweat you can wipe it away with the elegant looking band and support your team in the subtlest manner possible. If you are a new parent you can decorate your vehicle window with a lovely baby on board signage. 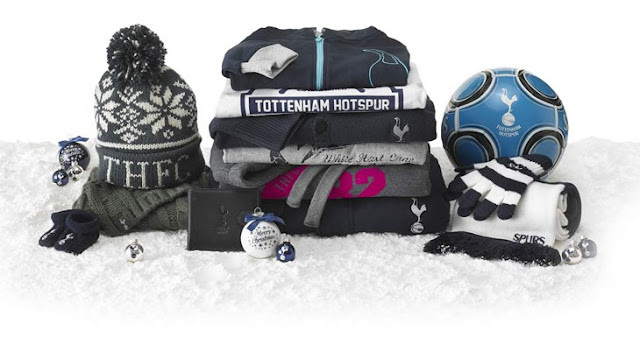 With a wide range of stylish goodies, Tottenham Hotspur FC and Goalsquad form a winnable duo. Cheers mates.